Surely it's a nightmare for most of users to see their Apple TV not connecting to WiFi. You then won't be able to watch videos, play games or stream your iPhone/iPad to a large screen TV. Luckily, here are several possible ways to fix Apple TV connection error 3906/3905/3902/5. Hope it can help you out. If you have seen below error code on the Apple TV, this article is exactly for you. You may need to try each way till this issue is resolved. Error 5, Error 3906, Error 3905, Error 3902, Error 100, Error 3924, Error 0, Error 31030 and so on. First of all, you should check whether the WiFi router is working properly. On your other devices like iPhone, open a website to verify whether you can access Internet via WiFi network. Make sure there is no interference on the area, for example, your Microwave oven. Apple TV Internet connection failed? Maybe there is something to do with the WiFi security issues. Below are 2 options you can try individually and see which one works for you. If you are using WEP security, consider using WPA or WPA2 instead. Here is what to do. 1. Open your browser and enter the router IP address. If you don't know what the IP is, type ipconfig on Command Prompt and you will see the Default Gateway. 2. Log in with router username and password. If you have never configured it before, the default username is "admin" and password may be "password"/your network provider/blank. 3. Locate Wireless Setup and Security Options, then select or check WPA/WPA2. 4. Enter a network key is asked. The steps may vary from different network provider but are basically similar. After that, your WiFi security will be set to WPA or WPA2. Most of Apple TV WiFi error like 3906/3605/3602 is caused by encrypted networks. You can temporarily turn off wireless encryption to fix it. Likewise, you will need to log into the router and go to Wireless Setup > Security Options, choose None or called No encryption used this time instead of WEP/WPA, then apply the changes. If your WiFi router is using Mac address filtering and you didn't add the Mac address to it, it will not be strange that Apple TV cannot connect to Internet. 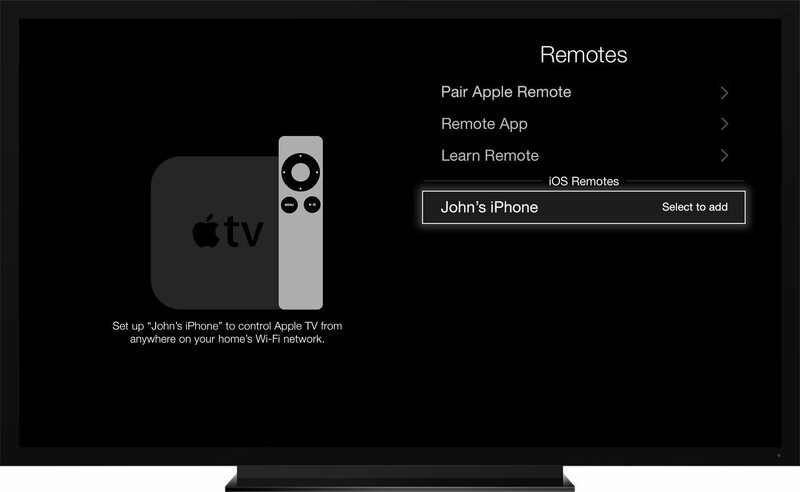 To solve this problem, navigate to Settings > General > About on your Apple TV. Then log in your router with above mentioned way, add it to Access Control List. After discussing so much about WiFi network issues, let's get back to the device itself. Sometimes the Apple TV network error is caused by software glitches. A restart may help pull out. On Apple TV 4K/4th generation, go to Settings > System > Restart. On Apple TV 3/2, it's Settings > General > Restart. Should the little trick to restart not working, you then can check for software updates. Since the Apple TV lost Internet connection, an Ethernet cable is necessary in order to join the network. If you don't have one, I will suggest you take Tenorshare ReiBoot into consideration, which is capable of fixing all Apple TV issues and updating tvOS as well. Below part will guide you through the process to use ReiBoot for fixing Apple TV WiFi connection error. 1. Download and install ReiBoot on your computer. Plug in the USB cable on the back of ATV. Connect the other end into USB port of your PC. 2. Click on Fix All iOS Stuck when ReiBoot recognize your device. 3. Follow the guidance to download newest tvOS software online. 4. Once the software is downloaded successfully, ReiBoot will start repairing your Apple TV. Wait for a while and the device will reboot itself back to normal. Above mentioned 5 ways should be able to handle the network connection error 3905, error 5, error 3906, etc occurred, however, if you are using the 3rd generation Apple TV and it's still not connecting to WiFi even after update, you'd better check the serial number. If the last four letters are DRHN, and the third and fourth alphanumeric character contains pairs like H9, HC, HD, HF, HG, HH, HJ, HK, J1-J9 etc, don't hesitate to contact Apple for a replacement as there models have been confirmed to have WiFi issues.